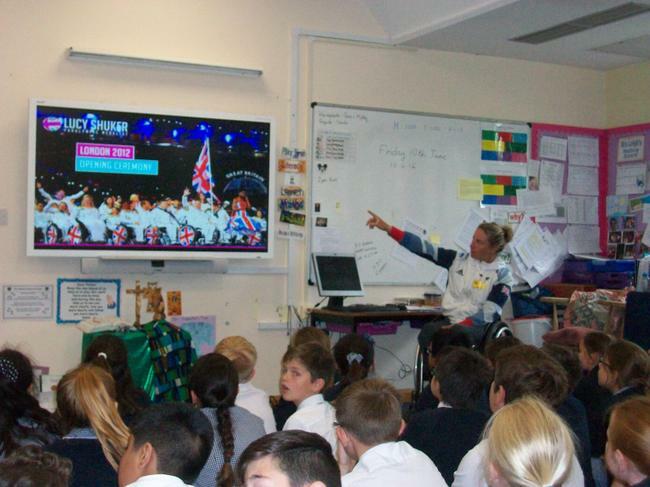 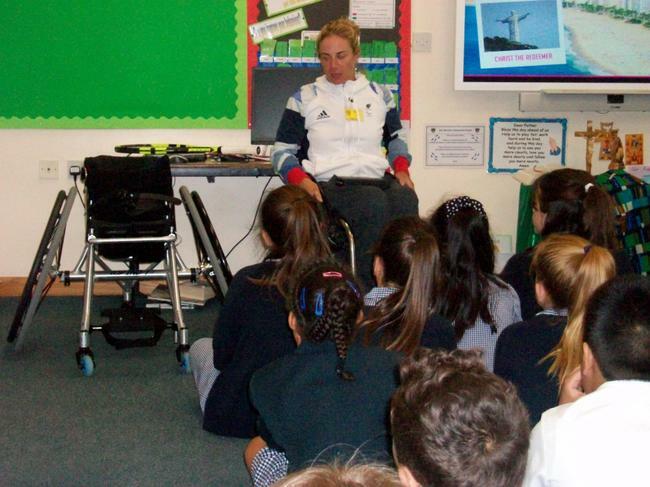 Lucy Shuker Visits St. Walburga's! 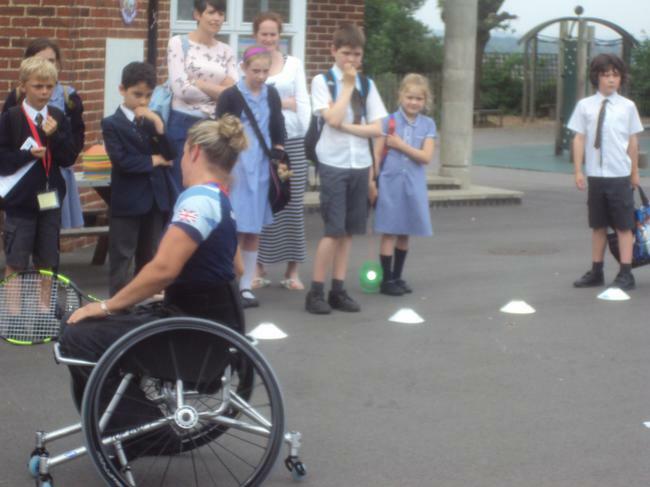 Lucy Shuker was chosen as one of our mission statement heroes and visited our school! 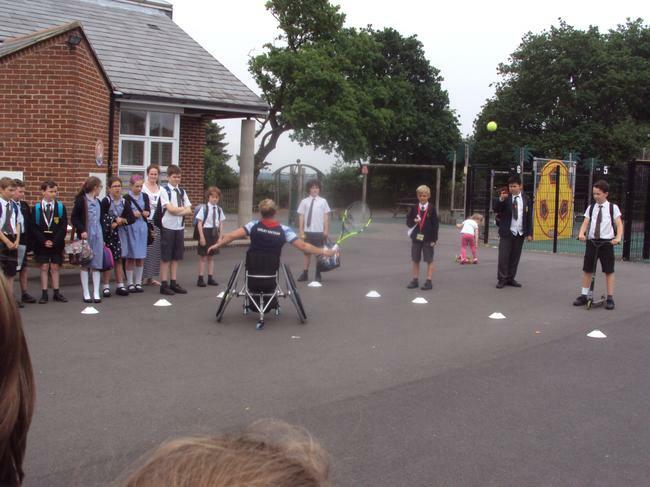 Given that Wimbledon is just around the corner we had a tennis champion visit us. 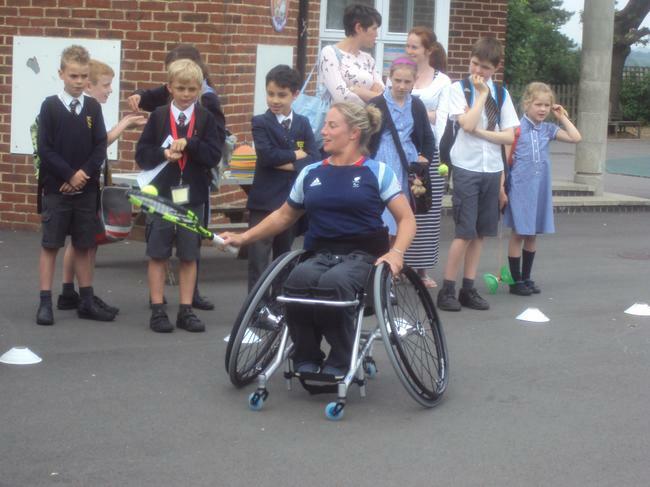 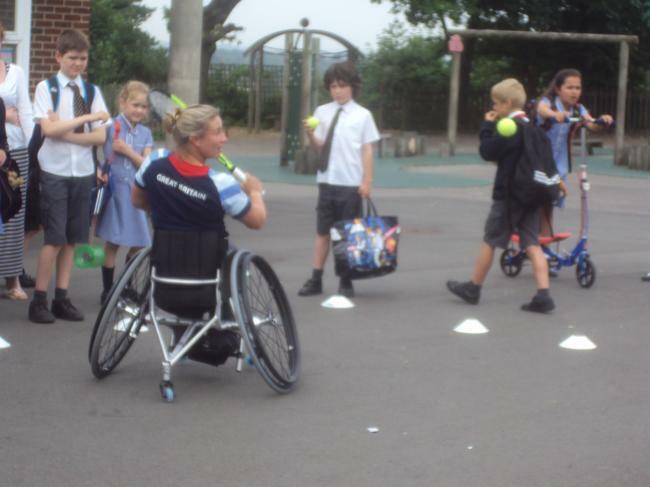 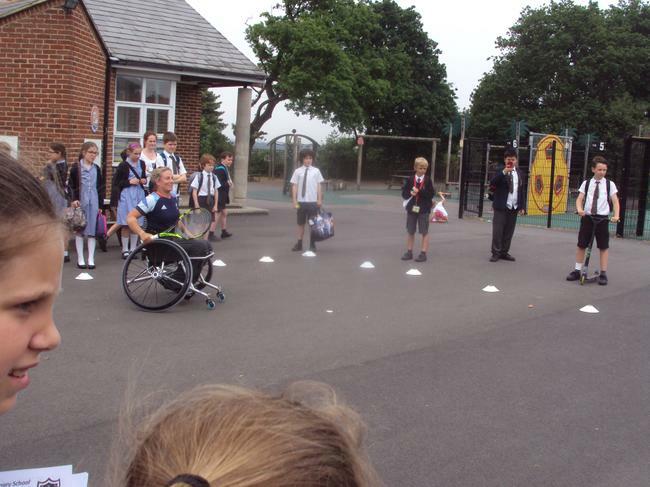 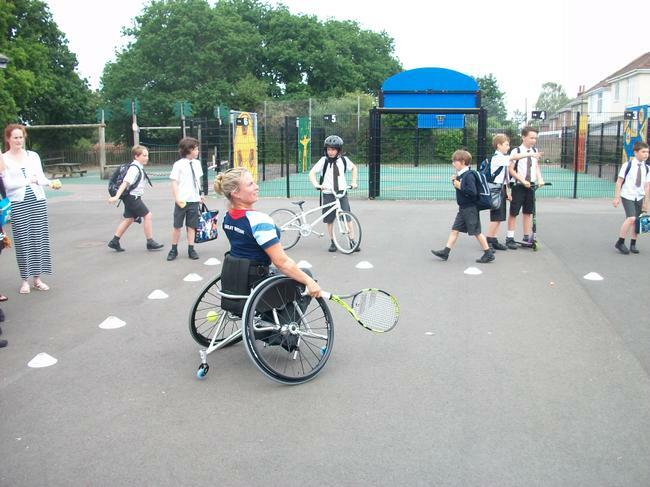 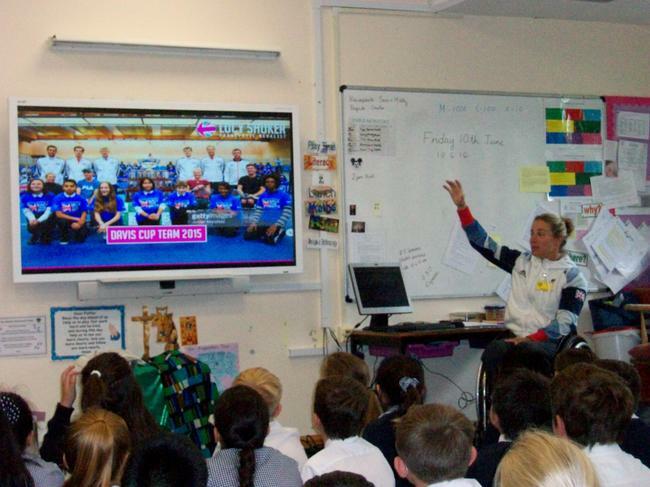 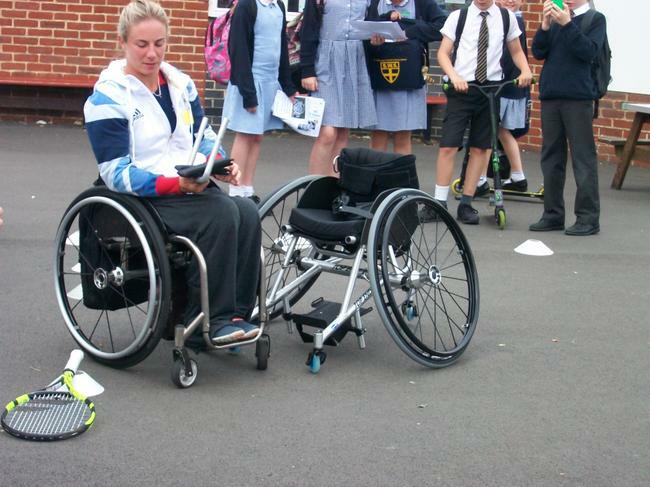 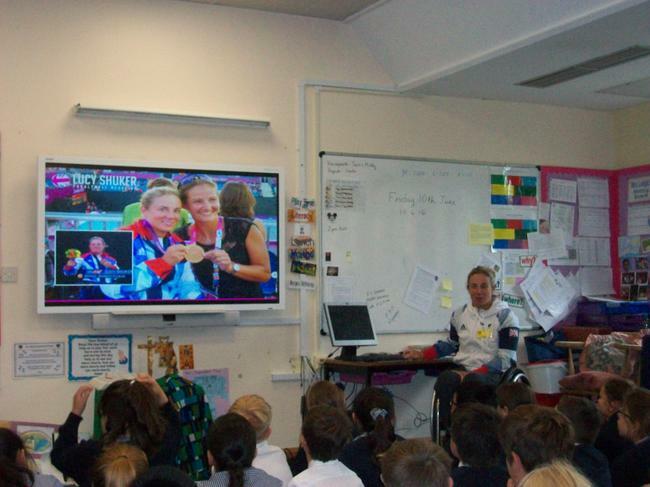 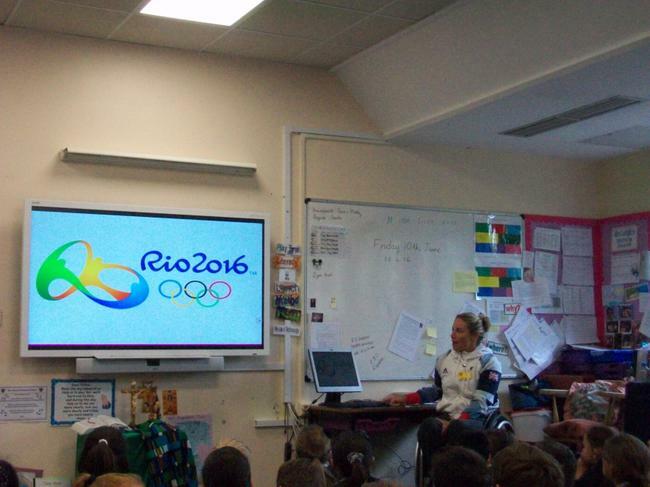 Lucy Shuker talked to the children and staff about her life and how she has overcome the fact that she is paralysed and has become a highly successful athlete as a professional wheelchair tennis player. 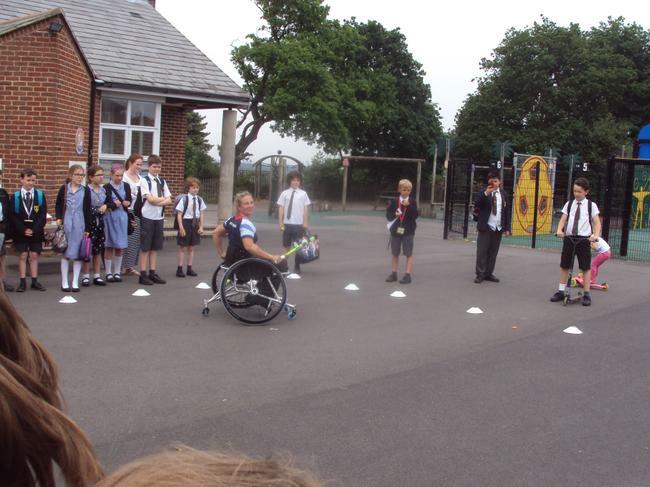 Lucy made history at the London 2012 Paralympic Games alongside Jordanne Whiley winning Great Britain’s first ever Women’s Wheelchair Tennis medal. 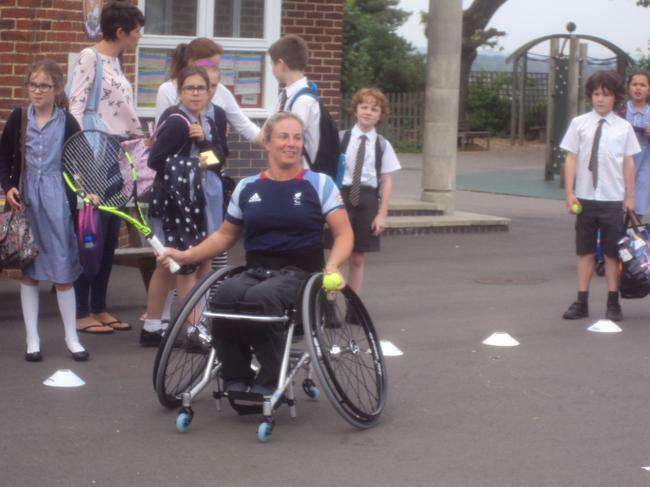 Lucy’s other notable achievements include winning the Vitalise Women of Achievement Award in 2011, British Tennis Disability Player of the Year 2012 and the ITF Wheelchair Tennis Player Choice Awards in 2007 voted for by all the players on the world wheelchair tennis tour. 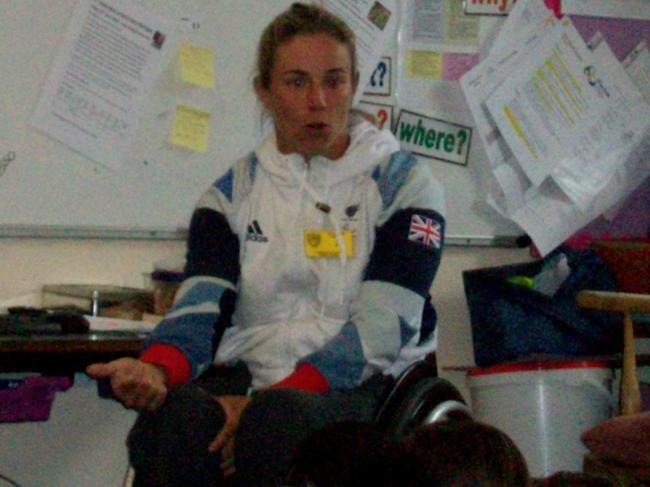 It was a pleasure to welcome a mission statement hero in the flesh and share their wisdom and experience with us. 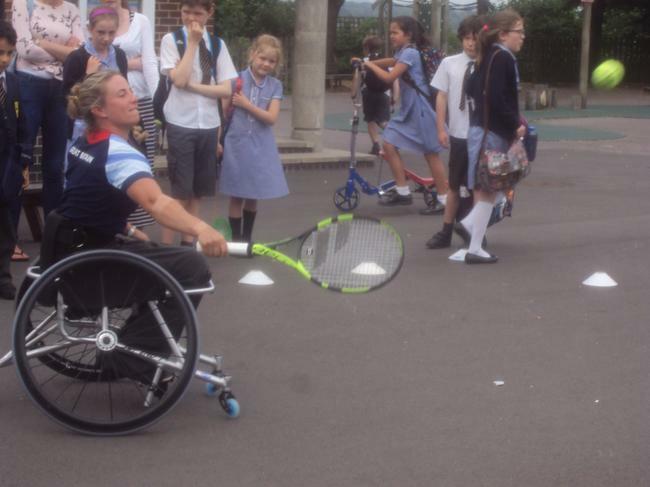 Thank you Lucy and good luck at Wimbledon!